The sack of Mr Moses Ogbe-led Delta State Independent Electoral Commission (DSIEC), may have confirmed the alleged clandestine move by the state governor, Ifeanyi Okowa, to displace the chairman of the Board in order to purportedly appoint his cronies to conduct the forthcoming local government elections in the state. It came as a shock Tuesday when the Delta State House of Assembly (DTHA), dissolved the Mr. Ogbe-led DSIEC, citing defects and shortcomings in the law establishing the commission. The dissolution followed a motion brought under matters of urgent public importance by the Majority Leader of the House, Hon. Tim Owhefere, seconded by Hon. Samuel Mariere, member representing Ughelli North I constituency and was unanimously adopted. Hon. 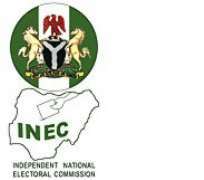 Owhefere in the motion said “due to the exigencies of the nation’s fast moving democracy, the Delta State Independent Electoral Commission be now dissolved in line with section 7(1) of the DSIEC law 2012”. The Majority Leader stated that the development was necessitated by noticeable defects and shortcomings in the electoral process as a result of the law establishing the commission which is currently before the House for amendment. Explaining further, Owhefere said the dissolution will enable the house work on proposed new DSIEC law that would enhance the electoral process in the state. In his contribution, the member representing Warri South 2 Constituency, Hon. Dennis Omovie said the constitutional requirement to dissolve the DSIEC board is two third Majority and stressed the need for due process to be followed. Thereafter the Speaker, Rt. Hon. Sheriff Oborevwori who presided over plenary called for voting by members who immediately filed out to the Clerk’s table to append their signatures against their names for or against the dissolution of the DSIEC board. Announcing the result of the voting, the Clerk Barrister Lyna Ocholor said 22 members voted for the dissolution while eight members were absent as nobody voted against. The Speaker said in line with Section 7(1) of the law setting up DSIEC, the board now stand dissolved having fulfilled the two third requirements by the House for the dissolution and called on the State Governor, Okowa to immediately dissolve the Board. Also at plenary the House received an executive bill from Governor Ifeanyi Okowa on a Bill to amend the Delta State Local Government Law of 2013. The executive bill was contained in a letter to the House by Governor Okowa and read by the Speaker Rt. Hon. Sheriff Oborevwori. According to the letter the sections to be amended are sections 96 to 138 and 140. The Majority Leader Hon. Tim Owhefere moved for the House to receive the letter for further consideration and was seconded by the Deputy Majority Leader Hon. Oboro Preyor and was unanimously adopted by the House. In a telephone conversation with the chairman of the dissolved board, Mr. Moses Ogbe said he was not aware of any development but however stated that the State House of Assembly has the authority to legislate on DSIEC. It will be recalled that the Delta State House of Assembly on Tuesday, August 29, 2017 received a directive from the state government to repeal the existing law governing the administration of the Delta State Independent Electoral Commission (DSIEC). This was contained in an executive bill sent to the House and signed by Governor Ifeanyi Okowa directing it to carry out amendments of some sections of the DSIEC law as signed into law in 2012 and for other matters connected thereto. Also in July, the DSIEC Chairman, Mr Moses Ogbe told journalists that an election timetable for the conduct of local councils’ election shall soon be released. He said that the Commission had gone round the state, assessed the facilities for the conduct of the polls and that government was very willing to fund the conduct of the local polls because of its critical democratic importance. The DSIEC boss observed that the Commission was conscious of anxiety of politicians and political parties for the elections, promising that the electoral body will not disappoint them as the elections will be conducted in the nearest future. He appealed to politicians to be patient and not to jump the gun, saying “we are coming out very soon with the election timetable.